It is often a problem for people who have recently undergone a hip operation to keep their leg up for an X-ray. 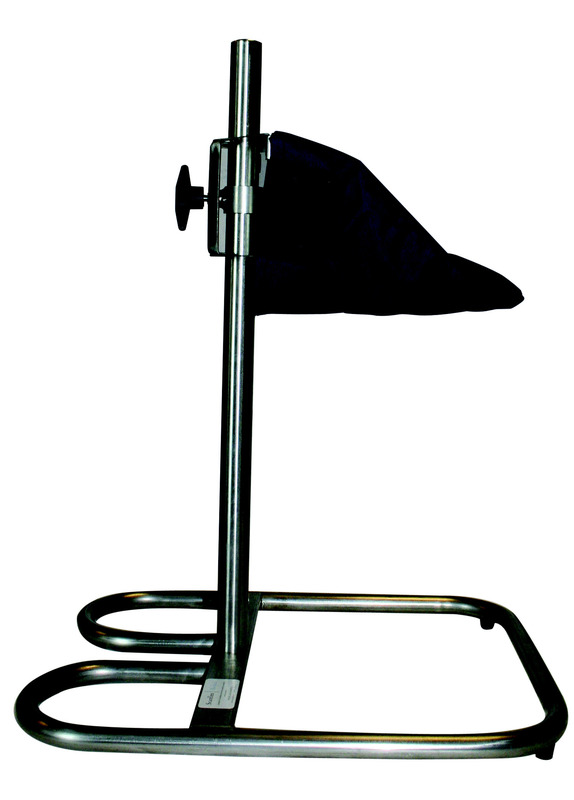 The Axil leg support is a stable aid for axial prognoses during X-ray examination of the hip. It provides firm support to the foot. The Axil is lightweight and comfortable for the patient. It can easily be adjusted in height. A protective sleeve is supplied as standard with the Axil for extra hygiene and comfort. It is easy to keep clean (e.g. with M70) and is available in various colour combinations.